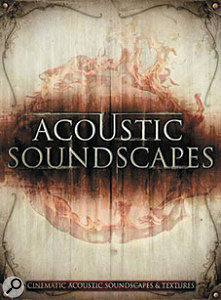 When I read Acoustic Soundscapes' promotional notes I was struck with a feeling of déjà vu which had me checking that I hadn't already reviewed it. After some investigation, it turned out that I was thinking of Acoustic Indie Pop, which, like Acoustic Soundscapes, was created by Dieguis Productions for BFA. 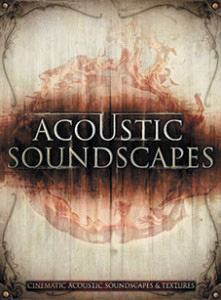 Acoustic Indie Pop showcased some really impressive musicianship and its stringed instruments were recorded beautifully, so I hoped Acoustic Soundscapes would offer more of the same. The main body of the library is made up of 945 files, available in both Acidized WAV and Apple Loops formats. There are also 325 additional WAV files labelled Xtras and 571 REX-formatted files. This all comes to 9GB, so downloading takes a while. The first thing to state is that the library has a definite American folk feel to it, incorporating elements of country and Cajun music. It's easy to imagine the material being used for period film productions, or documentaries depicting people living in the wilds somewhere. All the instruments you would expect to find are here: acoustic guitar (including high and 12-string versions), bass, banjo, fiddle, mandolin, nylon guitar and ukulele; but there are also a few marginally less-obvious choices, such as the dulcimer, baritone guitar and resonator. Most are found in their own eponymously titled folders, but a sub-set of ukulele, Dobro, banjo and guitar samples are tucked away in the Fingerpicking Instruments section. Although the musicianship is first rate throughout, it isn't overly showy. The material has been kept simple and precise in the main, which should make it widely usable beyond the original compositions contrived by the production team. Production-wise, the instruments sound full bodied and have been left dry, so the onus is on the end user to apply EQ and processing for unusual tones. There are no 'construction kits' as such, but compositionally compatible samples of different instruments can be identified by a number code. Dieguis have tried to provide most of the elements needed for making a well-rounded instrumental composition, from percussion right through to string beds and vocal textures. In the Percussion: Non-Melodic folder, for example, there are shaker, washboard and rainstick samples, providing some basic tempos and rhythms. Percussion: Melodic, on the other hand, contains rhythms created by picking, scraping, knocking, slapping, slap-sliding and brushing a number of the featured instruments. The Strings Section folder supplies harmonic string ensemble beds, generally featuring a long note, series of notes or rhythmic staccato part. Unfortunately there aren't many samples here to choose from. There is, however, a large collection of sultry female vocals. They don't articulate any words, just sounds, and could therefore be used in a wide variety of compositions.